The Icelandic horse has a distinguished and romantic past. Brought to Iceland by the Vikings in the 9th century, it has survived in the isolation of its homeland for centuries. Grazing herds dot the countryside at most seasons of the year and seem like an organic part of the landscape. A ban on the import of foreign horses was put in place in the 13th century and exists to this day, so the breed is an ancient one of unparalleled purity. This isolation preserved traits once common to all European horses, but now long gone from most. 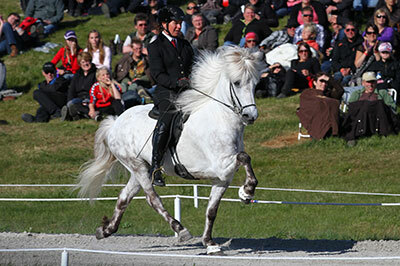 Among these is the tolt, a unique gait in which the rider experiences the sensation of floating over the countryside in a way that must be experienced to be truly understood. The tolt was bred out of most European horses as carriages and carts came into use in the late middle ages. Pulling them emphasized the trot and required larger, heavier equine bodies..
Tolt is so comfortable and the character of the horses so generous, that even a novice rider can enjoy this wonderful gait. 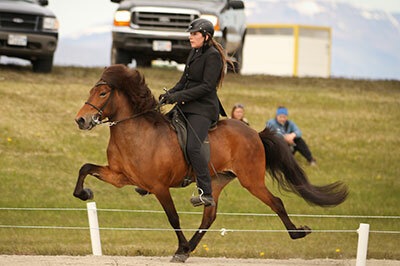 Experienced riders find Icelandics an exciting challege too. One horse buff compared riding an Icelandic to handling a finely tuned sports car after having been used to a pick up truck. 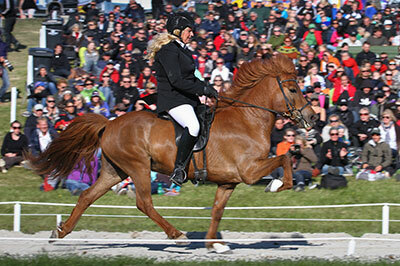 We all know walk, trot, canter, so what are these other two gaits? 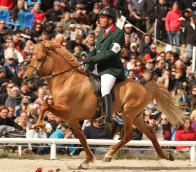 The Tölt is a 4-beat gait, where at least one foot is always in contact with the ground. It has the same footfall as the walk, only tolt can be achieved either at a slow tempo or up to great speeds, matching that of a cantering horse. The rider sits comfortably in the saddle, with little movement, and the horse carries himself in a proud and free moving manner. 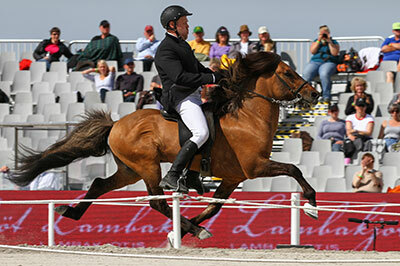 A tolting horse is a very beautiful horse to see, with great feeling of achievement for the rider. 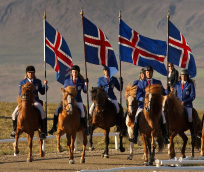 The tolt is the great feature of the Icelandic horse and if you are interested in buying an Icelandic horse, it is important that it has the ability to tolt. Of course for many horses it takes a little bit of riding skill to understand what is being asked for, but when you achieve it there is no greater feeling than riding a tolting horse. The Pace is when both feet on each side move simultaneously, with a moment of suspension in the air. Pace is a fast gait, and used mainly in races. 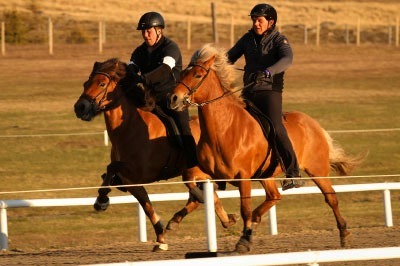 Riding pace is a unique feeling, that of flying, which is why it is often referred to as flying pace. 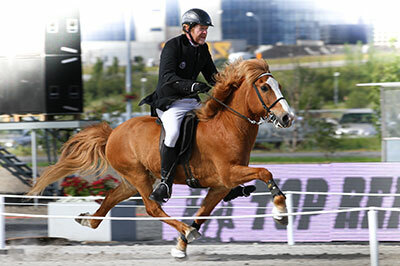 Good pace is considered the crown of Icelandic horsemanship. 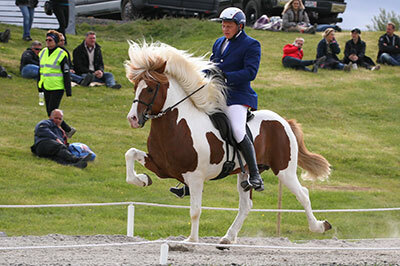 Not all Icelandic horses can achieve flying pace. 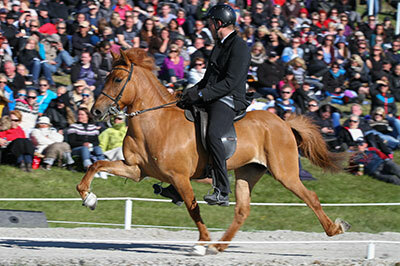 Horses that can perform the flying pace, as well as walk trot, tolt, and canter are called five gaited. 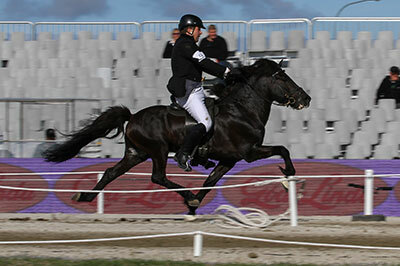 Those that cannot pace, but can perform the other gaits are called four gaited. 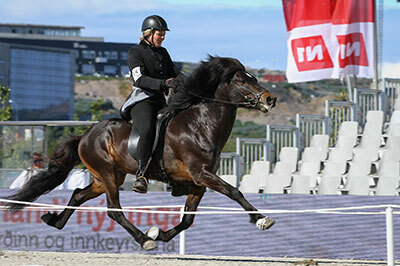 There are courses available, with professional trainers, for horse and rider to learn more about the gaits, including flying pace, and how to ride them properly. This is an opportunity that many riders and their horses benefit from, and gives them a real understanding of how to achieve the best out of your riding and your horses qualities. The Icelandic horse is the horse of the Vikings, and the gods. It has played a huge part in the lives of Icelanders for over a thousand years, and still does to this day. One of the first thing to remember about the Icelandic horse is that you must never, ever, refer to it as a pony – especially not within earshot of an Icelander – because it is not a pony. 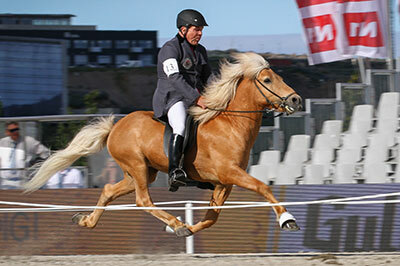 A pony is a smaller version of a big horse, which the Icelandic horse is not. 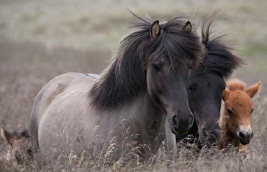 The breed is small (between 12-14 hands) and has a similar shaggy look as the Shetland pony. But that is where the similarity ends, as any Icelandic horse buff can tell you.